Schools have started – so many people are looking for ways of packing a lunch. Well, the Food “Flask” I found from the fine folks at Box Appetit certainly isn’t the Thermos that came with my Snoopy lunch box when I was in first grade, and it most certainly isn’t one of the many flasks I tote my bourbon collection in. However, what it is for sure is very cool, or hot as the case may be. 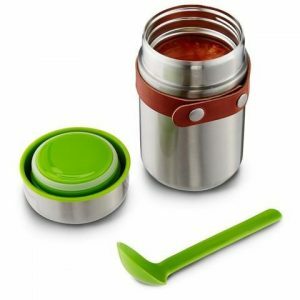 Find the Food Flask from Box Appetit here. See all the great food storage solutions from Box Appetit here. Lost Cowboy is powered by	WordPress 5.0.4 and delivered to you in 1.777 seconds using 43 queries.